The FTD® Sunshine Daydream™ Bouquet highlights stunning sunflowers to capture their every attention with its bright beauty. 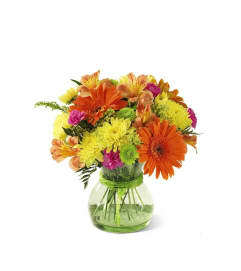 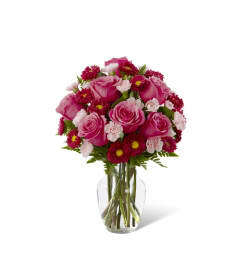 Gorgeous sunflowers are accented with solidago, lily grass blades and lush greens to create a memorable flower bouquet. 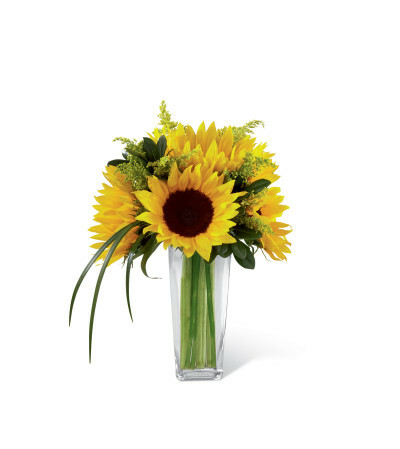 Presented in a clear glass tapered square vase, this arrangement sends your warmest wishes and highest hopes for the days ahead.